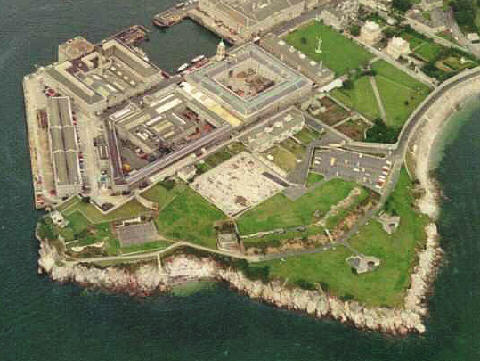 Devonport Dockyard was started in 1690 and has been in use continuously as one of the main naval bases along with Portsmouth and Chatham. It was very badly damaged by bombing during the last war and has been almost completely rebuilt. Fortunately many of the outer defences constructed from the 15th century onwards like the Artillery Tower do still survive. Milbay West & East Blockhouses 1490-1540 Vanished. Devils Point Blockhouse 1490-1540 Still standing. It remained in use during the Second World War armed with two Quick Firing guns. Devonport Dock Lines 1757 Built to defend the dockyard which was created in 1690. They consisted of ditches with earth banks until 1810 when they were strengthened with stone ramparts and deep dry ditches and euipped with 130 guns. In the 1850s the ditches were deepened to 20 foot and banks raised. 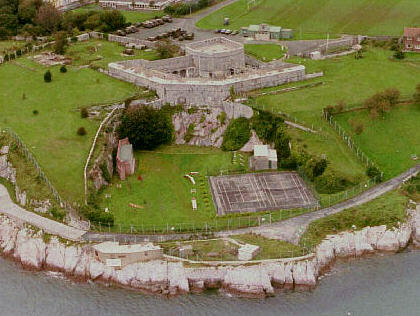 Western King Redoubt 1770 The gun battery can be seen by the shoreline between Devils Point and Artillery Tower Blockhouses. Built for 10 guns it was still used during the Second World War armed with seven Quick Firing guns. A Scheduled Ancient Monument. Passage Point Battery 1779 Later known as Naval Reserve Battery, it is close to Devils Point Blockhouse and the two gun positions are still visible. Mount Pleasant Redoubt 1779 In public park. 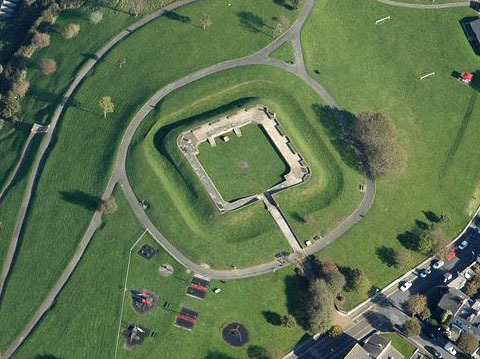 Eastern King Battery 1849 A Scheduled Ancient Monument. Still in use during the Second World War armed with three Quick Firing guns.